A Russian-led joint venture group will develop Egypt’s railway infrastructure project and will provide 1,300 new train cars worth $1.2 billion. The Egyptian government has awarded TransMach Holding, which heads a Hungarian joint venture group, the manufacture and supply of 1,300 railways passenger vehicles. The scope of the work also includes improving the level of service. The supply of 1,300 cars will constitute the biggest deal in Egypt’s railway history. 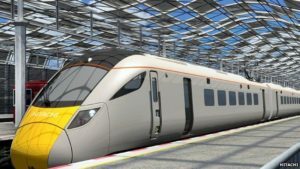 The deal is in line with the government’s rail infrastructure development plan, which set 2020 as target for the overhaul and improvement of the railway network.